Beautiful fine luxury quality Antique Linen Damask Towel, unused from an estate trousseau, in silky woven cream floral design. 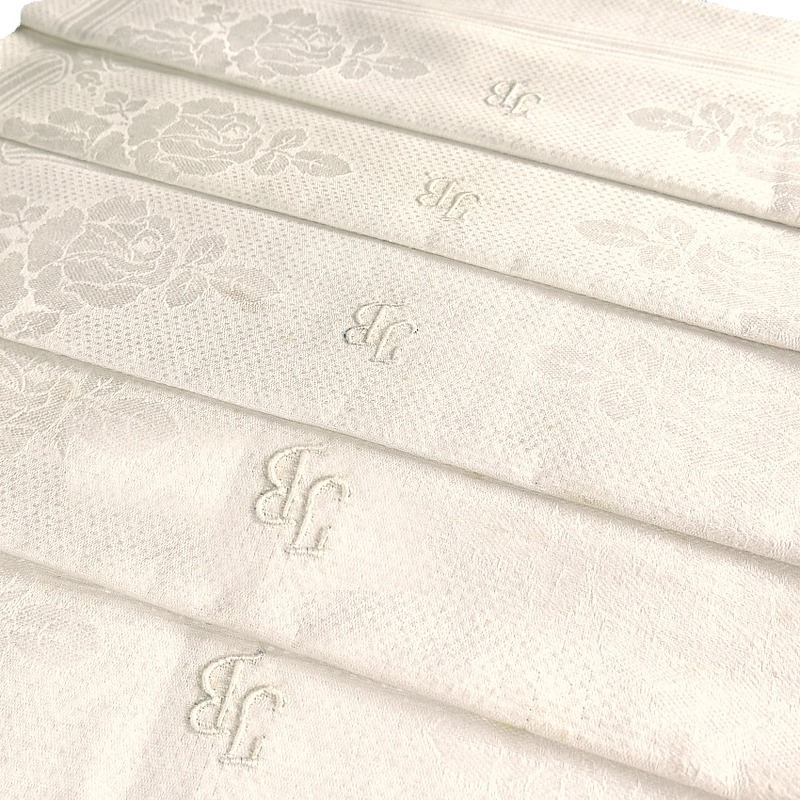 These towels were meant to be used as bath hand towels, they have the most exceptional fine roses design, divine! Each has a "hand" of such high quality that new linens just do not have any more. If you are a collector of fine heirloom linens, you will cherish these treasures that have survived two world wars unscathed, protected in the vast linen armoires of a noble estate. Monogrammed with the hand embroidered initials J B. When washed, these will lighten up a bit, they are a rich, luxurious cream ivory.